Is Keyword Cannibalization Something to Be Concerned About? It is an amusing term, but keyword cannibalization should not be brushed off. This trend can pose a threat to how your website ranks with search engines. Keywords are still a major component to SEO which means the topic will come up in almost any article talking about SEO techniques and search optimization. Even with the prevalence of healthy information on how to use them, there is still a chance that the concept can be misapplied, as is the case with keyword cannibalization. Many keyword related mishaps are due to a lack of understanding or knowledge around appropriate application of SEO techniques. There are layers of information a person needs in order to make the best possible use of keywords in their SEO approach. Keyword Cannibalization: What Is It? Keyword cannibalization is a term that refers to having the same keyword dominate several pages of your website. It can happen accidentally, as is the case when your CMS creates duplicate content or when a business does not know how keywords are best applied. It can also happen intentionally when a business incorrectly believes that this is a good way to optimize on their keyword selection. A lack of knowledge might result in many pages on a site having the same keyword. Most likely, this is because it is the focal point of a business and so the company believes that that keyword should be added to the tag of all pages for fear of one page not coming up in a search result around the topic of business. What it actually does is confuse search engines – they cannot discern which of your pages is actually relevant to a search. More of your pages might rank, but probably lower down the order. Search engines work better for you when they know exactly what your article or page is addressing. The notion that having more pages with the same keyword will “take over” a page of search results is not accurate. Seeing as search engines have complex algorithms to determine if your content corresponds to a search query, it is more than likely that keyword cannibalization will lead search engines to doubt the relevance of your site or page, the same way it doubts it when keyword stuffing takes place. 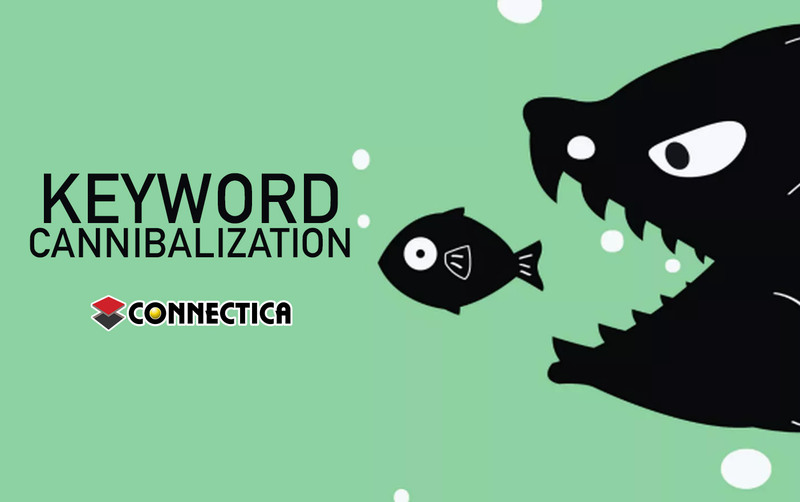 In this way, keyword cannibalization can hinder and not help your site’s rankings. The only time that similar content from your site should dominate a SERP is when your strongest page from your site and your related social media post come up. If you are now realizing that you have this issue, unintentionally or not, let’s look at how it can be corrected. If you are gathering information, then this will help you avoid the negative effects altogether. If you find that keyword cannibalization is occurring because of duplicate content, you have a few options to help fix the issue. If the content of duplicate pages is still useful, then combine the pages into one with sections or edits notes. You can use the information from multiple pages to create one “master” page that includes all of the information you were covering over several pages. You can use 301 redirects to redirect the URLs from the other pages to this one “master” page. This will actually help in more ways than one because it will streamline your site as search engines index sites better when there are fewer pages and URLs to scan. You may have pages that rank for multiple keywords that you do not want to redirect or remove as you want them to continue ranking for those keywords. You can de-optimize these types of pages for the keyword you do not want them to rank for by removing the keyword where possible, including meta data, and replacing with a similar term and updating internal links to ensure links leading to the page do not include the keyword in the anchor text. If you have content that is not performing well, then consider removing those low-quality pages completely. Remember to also remove the URL for that page or you might sit with broken redirects. Prior to removing a page from your site, check for inbound links. If that page has links attached, you may want to consider a 301 redirect to the page you want to rank for that keyword. I also recommend checking Google Analytics to see what kind of traffic and bounce rate the page has since you do not want to delete a page your users are clicking into and exploring the site through. Making use of canonical tags will help make your site more efficient. If you create a map of all pages on your site, along with keywords you would like each page to rank for, then you can begin to use canonical tags to help guide search engines on which page should take preference. If you have multiple pages targeting the same keyword, and they are all helpful to users, use canonical tags to inform search engines which page you want to rank for that keyword. This page should be your main authoritative page for that keyword, so you would also want to ensure your internal links mentioning that keyword in the anchor text also point to this page to further increase its authority. Sometimes a keyword will be used multiple times to inspire content. Make sure to keep the topics surrounding that keyword unique and use internal links to link back to the main authoritative page (landing page) you want that specific keyword to link for. This will help strengthen the landing page for that keyword. You can also use similar terms to that keyword to differentiate terms. Long-tail keywords also help with this issue as they can be more specific towards a topic than the general broad keyword. Google is smart and can read the content of a page to determine what the page is about and rank it accordingly. Ranking multiple pages may not be a bad thing if your happy with the pages that are ranking and where they are ranked. However, if you have older pages ranking above more informative and updated pages, you may want to take some of the steps above to help the newer pages rank higher. You may also notice you have multiple pages ranking but towards the bottom of the SERPs. In this case, maybe combining the information into a “master” page and redirecting to it may help you move higher up in the ranks. As always, it can become either cumbersome or complicated to do a proper audit of these kinds of problems. Especially if you are not certain if your rankings are suffering because of this cannibalization of keywords or for some other reason. Consulting an SEO company to assist with these audits and discovering of issues can make the process go a lot smoother so that the work you have put in already for SEO optimization finally starts to yield the results you want.